I am a PhD student in the School of Medicine in University College Dublin and I am supervised by Dr. Mark Pickering. I am incredibly grateful to Neuroscience Ireland for providing me with financial support to attend the FENS Forum 2018 in Berlin from 7-11th July. 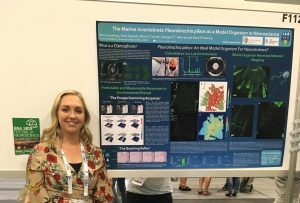 This was an invaluable opportunity to present my work on the newly emerging marine invertebrate model organism known as a ctenophore. My FENS experience began with an introductory course entitled ‘Everything you always wanted to know about invertebrates: basic nervous systems can do a lot!’. I found this course inspiring as it enabled me to learn about how ‘simple’ animals are imperative to gaining insights in to basic principles of nervous system function and this in turn has enhanced my desire to pursue a career in invertebrate neurobiology. I attended a broad spectrum of symposia to gain perspectives from multiple fields. The presentations inspired solutions to technical challenges I am currently facing while also providing me with ideas for new experiments. Since returning from Berlin I re-visited an experiment which had not been working for me, however, armed with unyielding motivation from my week at FENS, I persevered. The technique is now giving us promising results. Special interest events such as ‘The Crisis of Reproducibility in Biology’ and ‘What happens to your paper when submitted to a journal?’ were very informative and thought provoking. The Cambridge Neuroscience/Neuroscience Ireland/British Neuroscience Association event at the Amano Grand Central Rooftop bar was a fantastic opportunity to foster / renew connections within the Irish/UK neuroscience community. 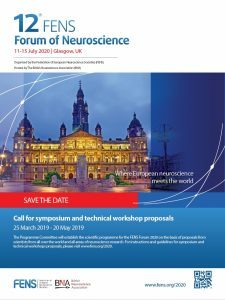 I gained a great deal from attending this meeting and I am very grateful to Neuroscience Ireland for supporting me in this endeavour. I would like to express my gratitude to Neuroscience Ireland for their financial support to attend the 11th Forum of Neuroscience organised by FENS in the vibrant city of Berlin this July 2018. 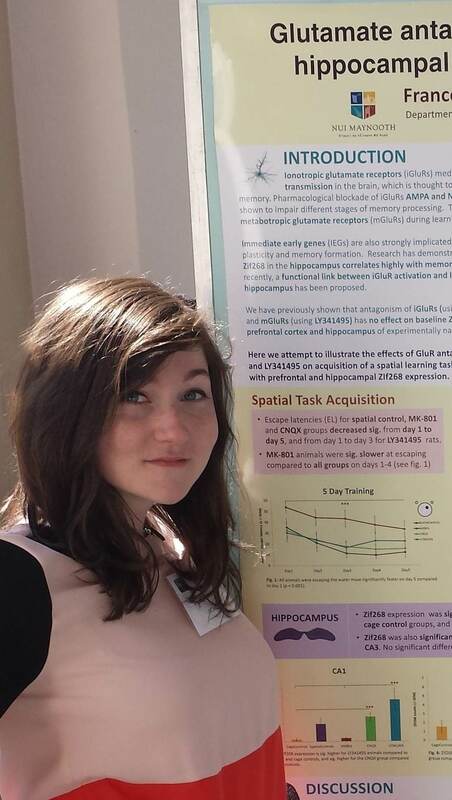 As a second year PhD student at the National University of Ireland, it was a fantastic experience to attend one of the biggest neuroscience conferences in Europe and to be able to listen to some of the brightest neuroscientists sharing their work. As a first-timer to a big international congress it was a bit overwhelming to choose between so many talks, workshops and posters happening at the same time but definitely a very positive experience once you decided what to attend to! Thanks to this opportunity, I could share my research about cell-based therapies in Parkinson’s disease with a wider audience, which I found really enriching since you get very genuine and open-minded questions and you can disseminate your work beyond your field. 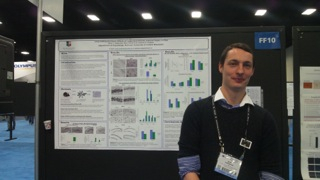 It was also very inspiring to be surrounded by so many people with the same neuroscience interests as me for four days! 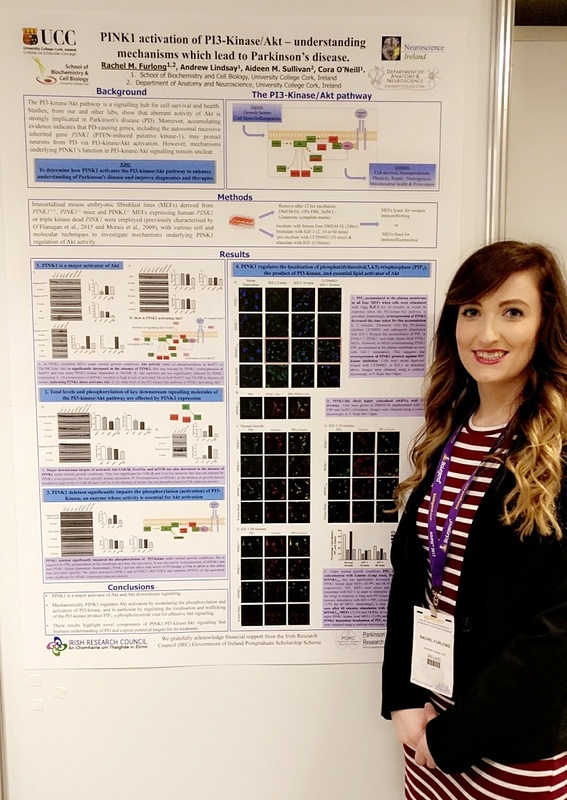 Finally I would like to thank Neuroscience Ireland again for this unique opportunity, since I came back to Ireland empowered about my research and really excited to explore the new ideas! I want to thank Neuroscience Ireland for awarding me with a travel bursary. Thanks to their support I was able to attend the 11th Federation of European Neuroscience Societies (FENS) Forum of Neuroscience in Berlin. This was the first time I attended an international conference as big as the FENS forum and it was a very motivational and interesting experience. I was able to share my research with scientists from all over the world, meet other researchers in my area and get feedback from them. I attended talks about new techniques that I could apply to my research and learn about what others are currently working on. Also, I got to sight see the beautiful city of Berlin and tried the local cuisine, making of this conference an enriching experience professionally and personally. I would like to extend my gratitude to Neuroscience Ireland for affording me the opportunity to attend FENS 2018, 7-11 July in Berlin. I was delighted to present my research to the wider international neuroscience community. It was an amazing platform to disseminate my work in the area of human cognition and the concealment of memory. In addition to the wonderfully interesting symposiums that ran daily, there were many opportunities to network and meet academics from a broad background of neuroscientific disciplines. 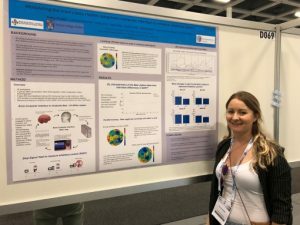 Overall, the conference was an overwhelmingly positive experience, with over 7,000 attendees, the largest neuroscience forum held in Europe to date. what’s more, the conference served as a marvellous milestone for women in neuroscience, with women plenary speakers out numbering men for the first time in FENs history. This conference was immensely beneficial to my PhD studies as well my progressing career as a researcher in neuroscience. Special thanks to Neuroscience Ireland for awarding me a travel bursary to attend the FENS conference in Berlin 7-11 July. This was an excellent opportunity to present my recent work on brain-computer interface to an international community of neuroscientists. I received invaluable feedback during the poster session, that has inspired me to consider my data from a different perspective, and will ultimately benefit me during the write up of this experiment for publication in the coming months. Aside from the several excellent symposiums and poster sessions that I attended, there were a few other highlights for me. Firstly, by meeting the exhibitors who provide the equipment we use in the lab, I was encouraged to apply for a small equipment grant to the ‘BrainBox initiative’ sponsored by Rogue Resolutions. I did this in the gaps between attending talks, and will find out the result in a few weeks. Secondly, there were a number of interesting careers events scheduled. One of which was on the topic of ‘alternative careers in neuroscience’. While I do still plan on pursuing an academic career, it was informative to be made aware of the many alternative avenues. This was also an excellent opportunity for networking, and I made several new connections. After presenting my poster, I met with a scientist from Birmingham University who was particularly interested in my work, and discussed the possibility of a future collaboration. Last but not least, the social events! Myself and the other postdocs from the lab at TCD attended the ‘Jump the FENS’ event, which was hosted in Berlin’s historic Soda Club. This was a true Berlin experience, with 5 rooms of different types of music and thousands of neuroscientists crammed in dancing the night away. On the last night, we also attended the British/Irish neuroscientists party, and had the opportunity to network with others working at Irish universities. 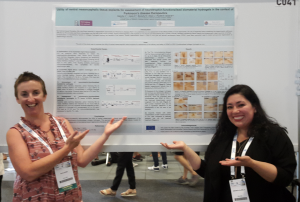 With my participation in FENS 2018, I had the opportunity to present findings from my first postdoc year in the laboratory of Prof. Robert Whelan in Trinity College Dublin. These findings were on my current investigation of the effects of substance use on the development of neural networks during adolescence. For this, I used the large dataset from the IMAGEN project, which is uncommon in the field and reduces the chances of false positives. With network analyses based on the work of Prof. Danielle S. Bassett, I identified network changes with development associated with substance use. Besides presenting my findings in FENS, I had the opportunity to screen the recent developments of the field. From all the posters I visited, there were two specially interesting ones. From one, I learned about a data-driven approach based on mixture modelling to threshold functional networks which allows the creation of subject-specific networks (Bielczyk et al. Abstract 4395). From the other, I learned about a new Statistical Parametric Mapping toolbox for fitting and comparing models in a systematic way in SPM (Soch et al. Abstract 4610). The highlight of the conference was the talk of Prof. K. Svoboda from the Howard Hughes Medical Institute in the USA. Prof. Svoboda presented his recent work on preparatory motor activity and how this is linked to movement execution. His laboratory executed a series of experiments in mice, whereby either timing of action, type of stimulus (auditory or tactile), or electrophysiology method (intracellular and extracellular) were manipulated. From these experiments, they found that the anterior lateral motor cortex is more active during preparation than during motor execution and that there is persistent preparatory activity in said brain region with laterality-preferring neurons. Also, they found that there are two types of descending neurons in the motor cortex: one type projects to the thalamus, which projects back to the motor cortex, and is responsible for motor planning, and the other type projects to the medulla and is responsible for late preparatory activity and motor execution. Lastly, I attended the “JUMP the FENS” party with other Irish-based colleagues and the networking event for Brittish and Irish neuroscience societies. All this was possible thanks to the support of Neuroscience Ireland. 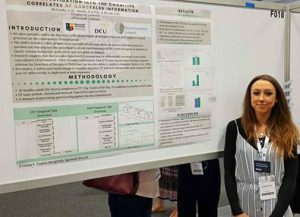 As a PhD student at Ulster University, UK, it has been an amazing opportunity to be able to present my research on mood disorders at an international conference. 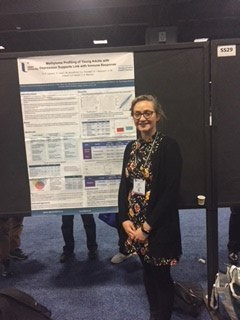 It was very beneficial to get feedback for my research, and it was exciting to discuss what others are currently working on, and I found the poster sessions very helpful to meet others with similar research interests. There were many relevant nanosymposium talks that I attended, discussing the interactions of stress, inflammation and depression. I also attended valuable Professional Development Workshops including “The Power of Effective Storytelling” which focused on the importance of campaigning the importance of health research and the best way to communicate our findings with specific target audiences. I would like to thank Neuroscience Ireland for helping me to travel to The Society for Neuroscience Annual Meeting. The European Pain Federation EFIC 2017 congress was a wonderful experience for me. Talks ranged from refreshers on basic principles regarding pain to exciting late breaking research in the field. The poster session not only allowed me to share my research with others and receive helpful feedback and insight, but also to see the newest unpublished work happening in the field of pain. The social was great opportunity for networking and picking the brain of fellow researchers while at the same time enjoying a range of local foods from the beautiful host city of Copenhagen. I gained a lot from the EFIC congress and hope to attend again. Thanks to Neuroscience Ireland financial support, I could attend the 27th International Cannabinoid Research Symposium in Montreal – Canada this year (2017). This symposium is one of the most important meetings for investigators in cannabinoid-related research, and it was a huge privilege to be around the most selected group of scientists in the field. I had the chance to present a poster in the event and got excellent feedback from great researchers, who gave me precious advices and suggestions, some of which I will bring with me for life together with this great experience of attending an international conference. There was also the opportunity to be in touch with what has been recently done in the field and be updated with the most up-to-date results and advances. The networking was inestimable; everyone was very friendly, eager to discuss and to expand their connections, which was great for me since it was my first opportunity to go to this symposium and meet with investigators of whom I frequently read papers and book chapters. It was a unique and meaningful experience that will be greatly valuable in my professional and personal life. Thank you Neuroscience Ireland for this fascinating time! I am a PhD student in University College Cork, funded by the Irish Research Council Government of Ireland Postgraduate Scholarship Scheme. 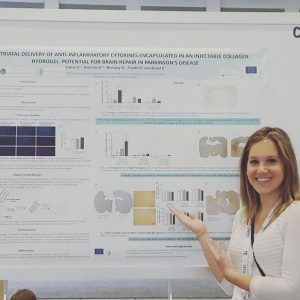 I received a Neuroscience Ireland travel bursary to attend the 13th International Conference on Alzheimer’s and Parkinson’s Diseases which took place in Vienna, Austria from March 29th to April 2nd 2017. 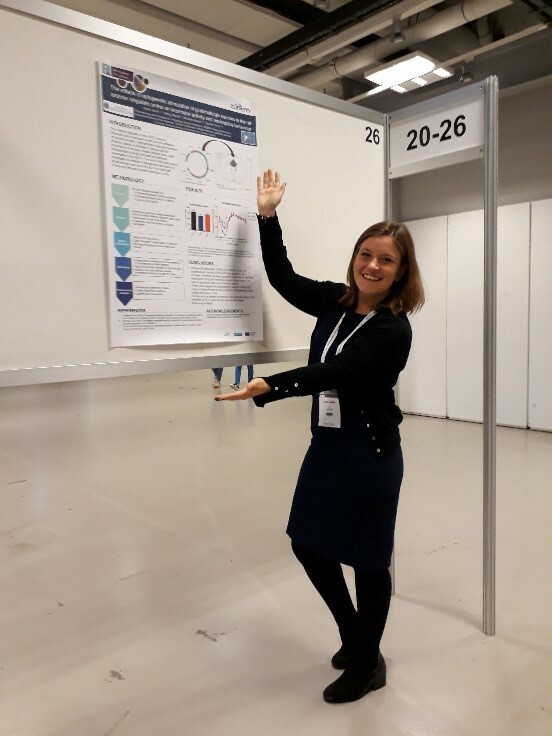 At the meeting I presented a poster entitled “PINK1 activation of PI3-Kinase/Akt – understanding mechanisms which lead to Parkinson’s disease”. 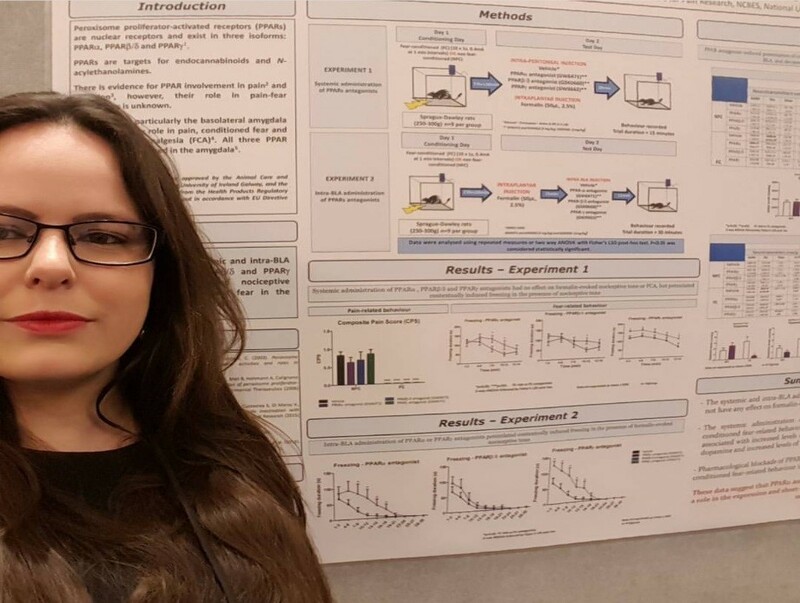 This conference offered me a unique opportunity to present my work at an international level to both basic scientists and clinical investigators of all levels, from young upcoming researchers to established leaders of the field. This allowed me the opportunity to make some important connections with potential collaborators as well as getting real time peer reviews of my work which will be useful in the preparation for publication in addition to shaping my future research. A real highlight of this conference was attending the plenary talk by Virginia Lee, a pioneer of neurodegenerative research. This talk highlighted the major advances in Parkinson’s disease (PD) research as well as clearly identifying the major challenge that still lies ahead: to find a disease modifying therapy that can treat the cause of this disease. The most inspiring talk of the five days however, came from PD patient advocate Tom Isaacs. He highlighted the importance of communication and collaboration in science. His personal account of living with PD gave an insight into what it’s like to live with the disease not just the facts on paper, and for me it affirmed why we need to continue to work hard to find a disease modifying treatment that will make a real difference to the lives of both patients and their families. 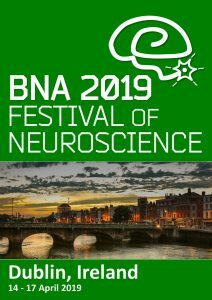 The travel grant I received from Neuroscience Ireland was crucial to enable me to attend and participate in this great meeting and I am very grateful for this opportunity. I am a graduate student currently enrolled in the 4th year of a PhD program in Neural Engineering under the supervision of Dr. Edmund Lalor and Prof. Richard Reilly. As I approach the end of my studies, it’s important that I participate in international conferences in order to divulge my research and meet other researchers in the field. This may translate to future collaborations and job offers. To this end, I have participated in the Society for Neuroscience’s annual meeting (San Diego, USA), which is the largest annual gathering of neuroscientists from all over the World. One main benefit of this large event is that additional, more focused satellite conferences and workshops are made available, which provide a platform to interact with researchers in specific areas of interest. During this trip, I had the opportunity to present my work on auditory neuroscience, which ranges from investigating the mechanisms that underline speech comprehension to the development of objective measures that, hopefully, one day may serve as diagnostic tools. My multifaceted research work allowed me to present a poster at the main meeting, entitled “Investigating the effect of perceptual enhancement on the cortical representation of speech using source space analysis with MEG”, a different poster at a satellite meeting (APAN), entitled “Investigating the cortical encoding of phonological features of continuous speech in dyslexia”, and to participate in a technical workshop (EEGlab workshop). Importantly, the work that I presented at the main meeting is the result of a collaboration that I made from the previous year’s meeting, which constituted another strong reason to show such work at that conference. On the one hand, such an intensive research trip has indeed provided me with the excellent opportunity to discuss my new results with experienced researchers of the field and to improve my technical skills (e.g. connectivity analysis from non-invasive EEG data), which undoubtedly helped my research work and my recent publications. Importantly, I had the chance to interact with international colleagues on a more personal level and to have discussions about the life of a researcher and about my possible future in the field of neuroscience. I found these conversations very valuable and this helped me a lot during this inevitable thinking process that comes towards the end of a person’s PhD program. For this reason, I would definitely advise the participation in a large meeting in the two years of one’s PhD program. I thank again Neuroscience Ireland for this travel award. Indeed, this is of great help as the cost of this type of research trips is very high.